From their website: "​A creation and presentation tool for students and educators to create interactive classroom content, allowing learners of all ages to visualize concepts and communicate creatively." 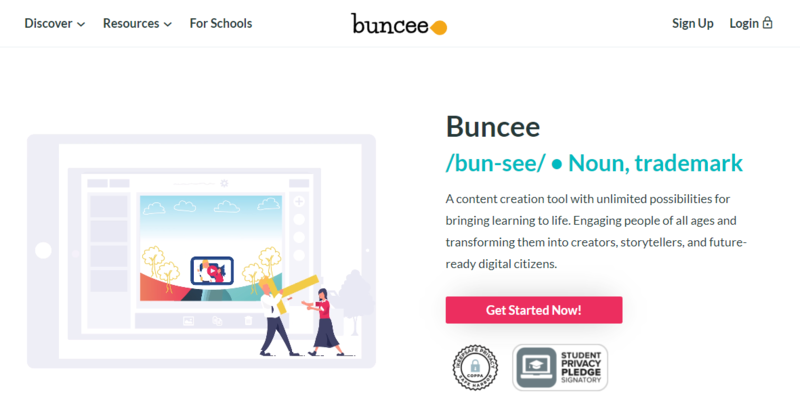 ​Buncee for Schools and Districts which is made just for teachers and administrators offers sign ups for live training along with providing additional tools and features such as student assessments, easy management through syncing (with Google Classroom or Clever), a customizable domain, and so much more. Check out the video on the right to learn more.